After high demand from customers, we officially introduced Roaming Endpoint beta, our answer to the massively growing mobile workforce. It’s a Cloud-based offering that swiftly detects and automatically blocks DNS attacks on laptops outside the secured company network, without using external 3rd party DNS servers or requiring a VPN connection. You don’t have to check your security at the door: It protects your device anytime, anywhere. 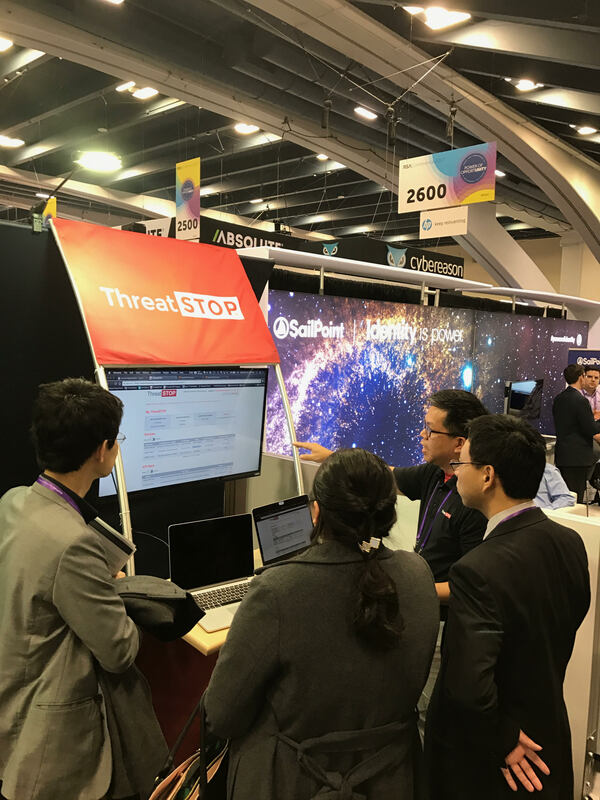 Thanks to ChannelPro Network for naming Endpoint beta one of the coolest new solutions at RSA this year. 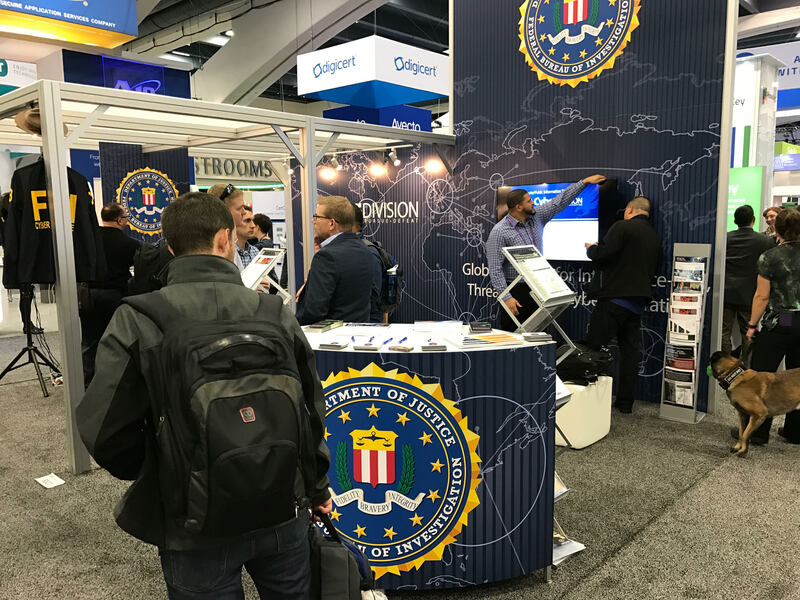 ThreatSTOP Founder, Tom Byrnes, talked keeping security policies operative in high volume environments at the A10 booth. There doesn’t have to be a tradeoff between security and web page performance (ex. anxiety over losing users to load time), and treating intelligence independently of enforcement can do just that. Check back for the video of his brief presentation. Thanks, A10! Walking around the trade show floor, DDoS attacks hit you in the face. Which, they should. 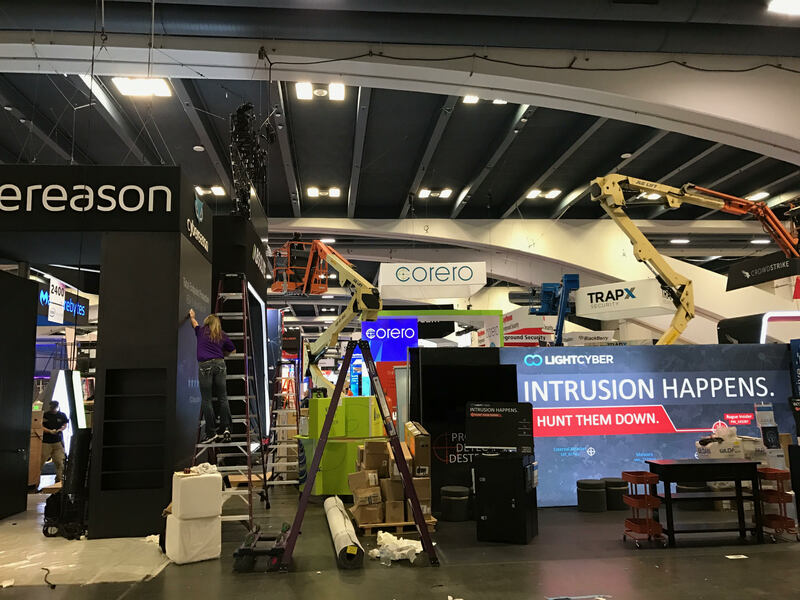 They continue to be a focal point of the security industry, and RSA was no exception. Case in Point: McAfee researchers brought a DVR and connected it to the internet. Why? To show it was botted in less than 60 seconds by Mirai. DDoS, specifically Mirai, will keep getting press and attention well into 2017. We’re seeing an increase in DNS Firewall as a solution category. Because of the attacks on Dyn late last year, more people are specifically walking the floor for DNS-layered protection. It’s getting budgetary consideration from every vertical now. Lucky for us, we have the guy who invented it on the ThreatSTOP team. Machine Learning and AI breakthroughs are happening in this space, all utilizing Big Data, but we’re waiting to see how its usability plays out. One thing is for sure, the biggest players have the money and backing for it to happen. Predictions for Cyber Security in 2017? The endpoint antivirus isn’t quite dead yet, it’s still a huge need for most companies. There’s a strong push to the Cloud, with network appliance vendors feeling like they have an uphill climb ahead. Identification, authentication and cryptography are becoming the next big areas in network security. DNS Security is finally getting the attention it deserves. We’ve seen an uptick in customers asking if their own DNS is secure, whether they should outsource external DNS or manage in-house, and how to actually secure something they’ve always taken for granted. A shift towards acknowledging the need to move threat intelligence at real-time speeds for usability. More and more is the idea of just “threat intel” getting thrown out the window. 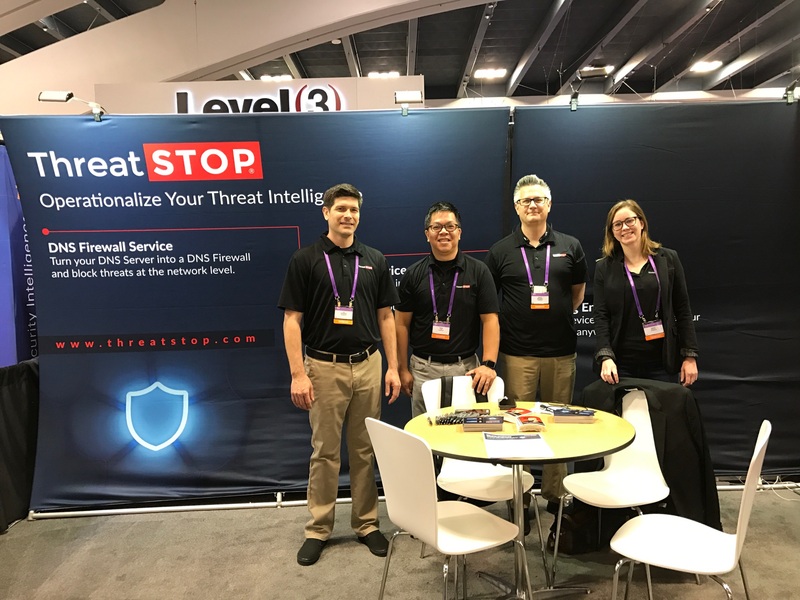 We're still offering our RSA Deal: Buy one year of DNS Firewall Service and get one year of IP Firewall Service for free. 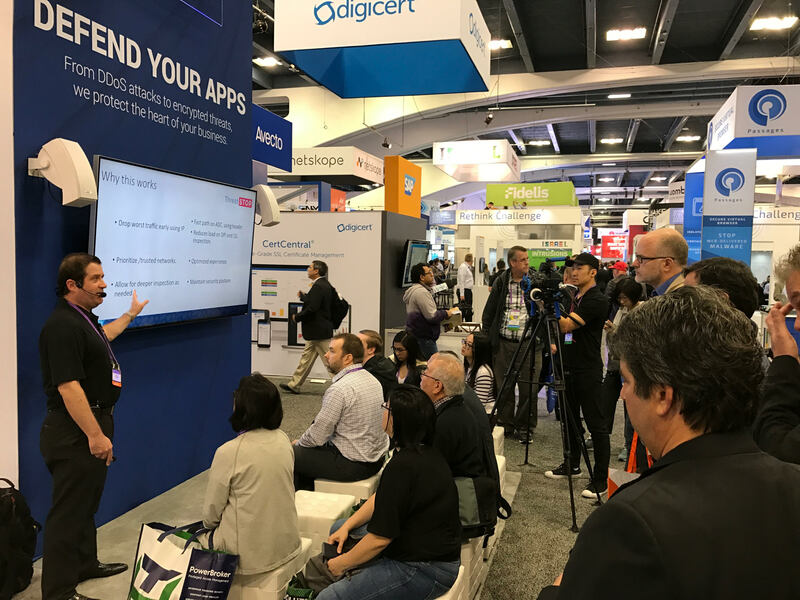 If you stopped by our booth (or just looking for social updates around security) follow us on Twitter, and contact us if you’re interested in demoing any of our products. Hey, we like doing them. Cheers to another fantastic RSA!